“On February 4, 2018, Ravi Shankar died in Fredericksburg, Virginia. He is survived by his mother, Maya Devi, two brothers, Tarun Shankar, and Arun Shankar, his wife Geeta Shankar and two children, Jatin, 19, and Raychal Shankar, 17. Ravi was 49 years old. Ravi was born and raised in Delhi, India. He was an enthusiastic badminton and squash player in his early teen years, before turning his attention to tennis. At age 19, he opened up his own tennis academy, which was the third largest tennis academy in the region. He was proud of that. He moved to the United States in the mid-1990’s. He worked at the Drilling Tennis Shop in downtown Washington, DC for eight years. He then went out on his own and opened the Tennis Zone tennis shop, first in Chevy Chase. Later he moved the store to Glover Park where it has operated for the last five years. A man of exceptional talent and a warm personality, Ravi had an unparalleled ability to string tennis and squash racquets, matched with a sophisticated knowledge of string types and racquet differences that benefitted beginners and professionals alike. 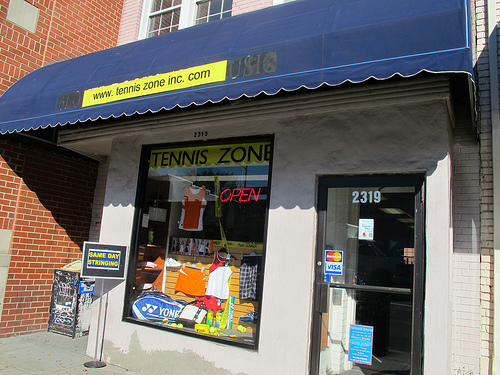 Any person, young or old, who walked into the store or took a tennis lesson from him found a thoughtful and caring person, willing to go to any lengths to raise the level of the person’s game or increase his or her enjoyment of the sport. He himself played the game with passion and flair, a joy on the court. The region’s tennis community has lost a true friend, wonderful competitor and gentle human being.